Today is the first day of spring, and to welcome in the lovely season, snow. Thank you Chicago. I am so glad I did not get over zealous about the spring weather lately because I just knew it was too good to be true. My parents came to visit this weekend and although I was not cooking, I have definitely already had some adventures! 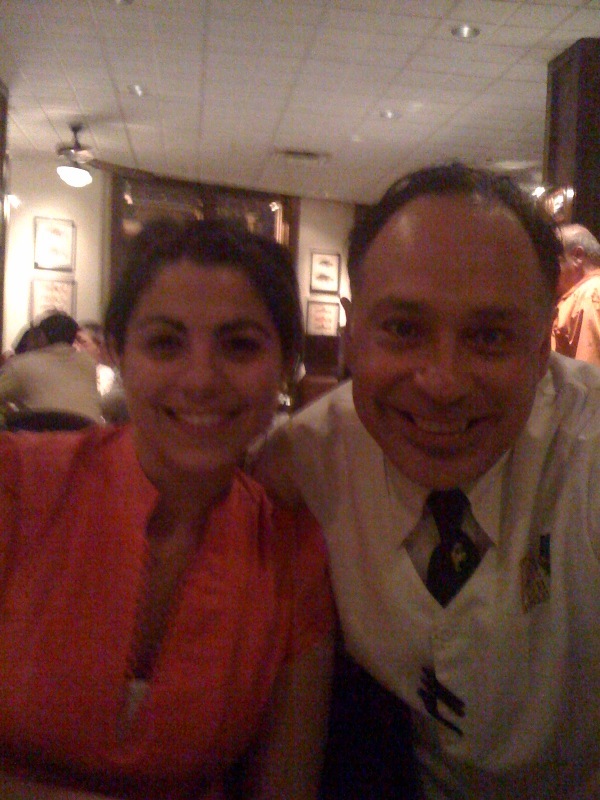 Thursday night we went to dinner at Hugo’s Frog Bar. It was such a lively atmosphere and a really cool restaurant. I was nervous to order fish because I have never ordered anything besides crab and shrimp, but my waiter, Frank, insisted I try something new. Everything inside of me told me to resist, and order a steak or crab legs, both of which I have had often. My mom reminded me of my quest to branch out of my comfort zone when it came to food, so I found some courage, reminded myself of my age, and ordered my first fish meal EVER. Thank you Rosemarie and Frank! I decided on the Dover Sole because both my Dad and Frank (above) said it was amazing, not too fishy, and that I would love it. My mom ordered Halibut because I have tasted it before and knew I wouldn’t hate it, just in case I did hate the Dover Sole. When Frank brought out the fish he had me get up from the table and showed me how to debone my own meal. When he showed me the “roe line” and proceeded to spoon off the “sac,” I thought I was going to be sick. Then, when he took off the head, I decided then and there I could not possibly be able to eat the rest of the night. But when he took off the spine, I was intrigued. It was such a cool experience and I am pretty sure I would be able to debone my own fish now if I had to. Maybe if I am ever living on a beach like my boyfriend Ryan wants to do (a little inside joke) I will be able to cook our meals! 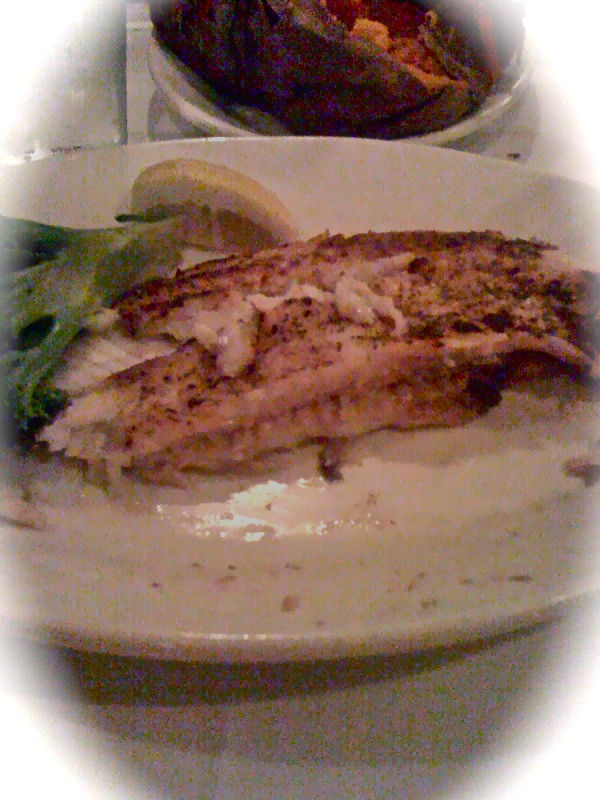 The Dover Sole was unbelievable, melt in your mouth, make you smile good. I ate the entire thing all the way down to the tail (which was still on there I believe). It came with an almond butter sauce for dipping that tasted like I was dipping the fish into heaven. The entire dinner was such a fun experience and I am so glad I removed myself from my comfort zone and lived! It felt great. Last night we went out for sushi in Lincoln Park and I tried my cousin Nick’s meal. Since I was feeling great for trying new food, I told him not to tell me what he ordered before I ate it. It was squid. I liked it, but am really glad he didn’t tell me before hand because I don’t know if I would have actually tried it. My mom ordered fried oysters for an appetizer, but as much as I enjoy being adventurous with my food these days, oysters are not something I am ready to try. I don’t even have a desire to try them. When I watch people eat them I feel a little nauseous. Maybe one day, but for now, I am good with not knowing what that slime tastes like!